Back in 2016 HEXUS asked readers whether they thought the TV license fee here in the UK should be scrapped. Today Broadband Genie wrote to us with the results of its own public survey touching upon this very same topic. The internet comparison website surveyed nearly 2000 people up and down the UK and asked about the BBC TV license fee and popular internet TV streaming services such as Netflix, Now TV, and Amazon Prime. The headline result from Broadband Genie's survey is that 40 per cent of the public thought that the license fee represented good value for money. That's not too terrible a result; however it is really put into the shade by the 'cord cutting' inspiring streaming services now available in the UK. Those questioned overwhelmingly opined that streaming services offered good value for money - 93 per cent said so. Considering the above really brings into light the question of fairness and transparency. If you never watch any live BBC content but like to watch some live content, like live news sources on YouTube for example, you still have to pay the license fee by law - but 68 per cent felt that particular rule was unfair. 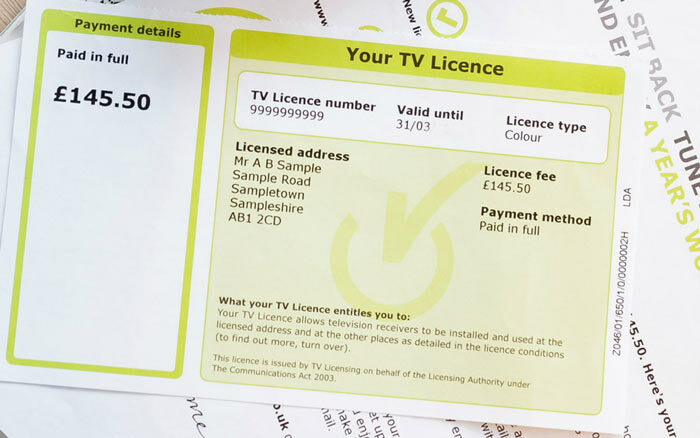 Another question revealed that half of all people don't know where funds generated by the license fee go. It's not clear, however, whether the half that claim to know where the fees go really do so. The BBC make some great content but I'd rather choose to subscribe to it on a specific basis. The ‘license fee’ is totally unsuitable for 21st century media consumption. It's little more than a tax on owning a television. I don't understand how anything can be labelled ‘good value’ when you don't have a choice in the matter. The broadcast television model is not going to last forever. Twenty years? Streaming services are great, but there are a lot of issues such as content creators actually getting paid (e.g., spotify). But they are the future, and the BBC know this (moving more services online, iPlayer is pretty good for catch-up, and so on). Most people's problems with the BBC actually come from a belief that the BBC is against their own political viewpoint. So right wingers whine about the lefty BBC, and left wingers whine about the right-wing BBC. The fact the BBC annoys both sets of people is probably a good sign. Honestly I can't even remember what the last thing I watched on the bbc was….. mind you the rest aren't much better because tv seems to be heavily biased towards ‘reality’ tv and well that doesn't interest me. I know I wouldn't be paying the fee to watch the bbc if it was a subscription like netflix etc thats for sure. I can see both sides of the debate. On the negative side I don't think the BBC can offer the same production quality as someone like HBO or Netflix original series. However the BBC is more than just fictional drama, it's factual daily news, relatively good website content over a multitude of subjects, kids content, multiple national radio stations and dozens if not hundreds of apps, local news and content, worldwide content and helps us spread British culture all over the world, whose value is hard to quantify. To that end I think the £145.50/yr is reasonable value for money. Honestly I can't even remember what the last thing I watched on the bbc was….. Doctor who for me I think. Oh no, it was that choir competition that I watched with my wife. I was quite surprised at home much BBC content I watch on Netflix. Netflix are showing the last series of Orphan Black which is a BBC America program. The license does jar slightly, but I do get plenty from it. I would object to paying for the junk on ITV though which I think is the point, BBC would be the same as ITV without the license fee so you lose choice. Oh yes, BBC News channel was the last BBC thing I watched.